Well, a big welcome to 2019!!! First I want to apologize to all of my customers for not updating our website since 2017. We have lots of pictures and stories to tell, but just couldn’t get it together last year to add some new jobs and take off some of our older jobs. But this year is going to be different. Our web site designer is already working diligently to update our website and you will soon see some changes. So at times it may be down for these updates. Please be patient. 2018 was a big travel year for us and a big year for PCCP pipe work. We plan on adding a new spotlight job which we performed for the Bangor Water District, It was nice to see those folks again and meet a lot of new faces up there. 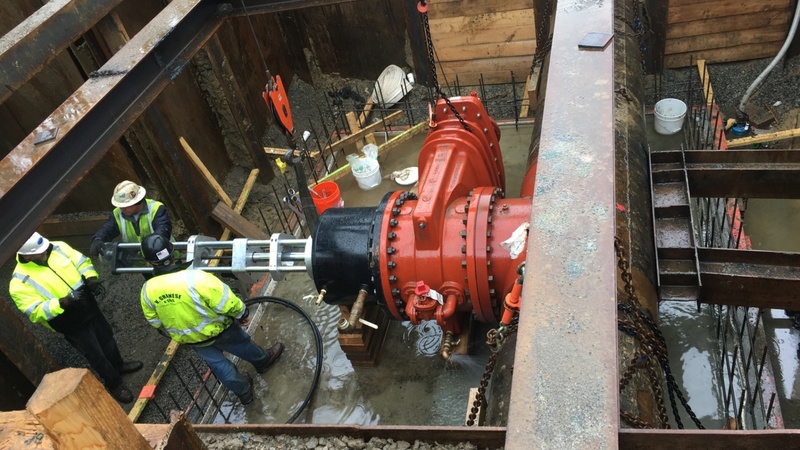 We also performed an emergency PCCP pipe repair for Aquarion Water in Greenwich, CT right before Christmas. One end of New England to the other! We also continued to increase the amount of water and wastewater interior plant linestops that we perform. These take a huge amount of planning ahead of time and precise execution in order to be successful. As for equipment updates, we have purchased another Footage tapping machine and several large diameter cutters for back ups so that we are never caught short with only one size cutter available. Our maintenance program on our cutters is very aggressive and the path they travel back and forth to the mid Atlantic for sharpening is well worn. The addition of these new cutters will afford us more versatility and less sleepless nights worrying if FedEx is going to show up! We have completed our testing on our new 30″ x 24″ Folding heads and they are just about ready to be used out in the field. A few more tweaks and we should be there! They will be rated for 200 psi. Then we can start fabrication on the 36″ folding heads which have taken a back burner until recently. On the vehicle front, last November, Ed designed a new tapping truck for himself and it is being built now by our favorite, Service Truck International. He is looking forward to having a Peterbilt!! !